In recent months I’ve spent time with several people going through a tough time and struggling to hold on to hope and stay optimistic. Depression is tapping at the door of a few. I know there have been times over the years I’ve felt that way myself. When my brother Peter was struggling with mental illness. Each step forward seemed to be followed by two steps back. As the years passed and I started losing track of how many times he had gone in and out of psychiatric hospitals, holding on to hope grew harder and harder until he totally fell into despair and took his life. No matter how bleak a situation may be, there is always reason for hope and hope is always helpful. Not Pollyanna rose-colored glass wishful thinking. Not blind optimism. But hope. Hope that somehow in the midst of our difficultly that something good, perhaps something we cannot even imagine, will come from our hardship and heartache. 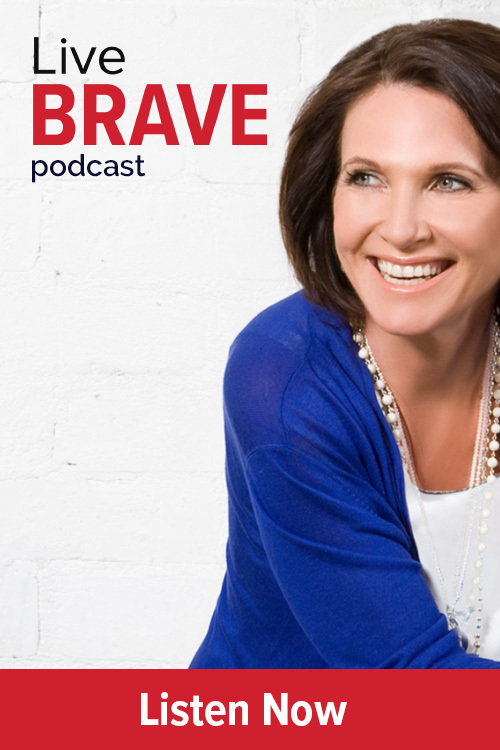 In my interview with Michelle McQuaid above, she shared how our brains are wired to look for things that aren’t going as we’d like or might only go worse. It’s a self-protection mechanism wired into our psychological DNA to help us prepare for ‘the worst.’ Yet, preparing for ‘the worst’ we must be careful not to succumb to despair or abrogate our responsibility to do what we can. And one thing I know for sure is that no matter how much lays outside our control, there are always things within it! Surrendering to helpfulness and just waiting for the end to come may feel like the only option but it never, ever, is. As I type this now I know there are people caring for family members who are suffering with chronic illness. There are people reeling from the betrayal of someone they trusted – a business partner, a life partner, a long held friend. There are children being diagnosed with illnesses for which there is no cure and mothers who are grieving children they will never get to raise. There are people who’ve lost all they’ve ever worked for and others facing a future devastatingly different from what they’d ever imagined. So what can you do when hope grows dim? I recall after my brother Frank’s accident that left him a paraplegic he said to me, that while there were many things he could no longer do, there were many he still could and he wanted to do them all. Eight years on Frank has lived his life doing just that. Yet how many of us with legs that work perfectly well live in mental wheelchairs focused on what we cannot do, rather than on what we can. As Michelle McQuaid suggests during our conversation on RawCourage.TV, set yourself ‘doable’ short term goals to keep you in action and engaged in affecting positive change with what is inside your control. Secondly, check the story you’re telling yourself about your situation. Do you have yourself cast as a helpless victim or someone else as the tyrannical villain? I recently read that it’s now how heavy your load is, but how you carry it. Likewise, it’s not the weight of your burden and life circumstances that determine your happiness in life, it’s the the story you hold about them. How can you rewrite the the story you’ve created about your circumstances with less ‘drama’, victimhood and powerlessness and more optimism, grace and hope. Celebrating the small things that are going right in your life helps build your capacity for times when big things go wrong. Nothing is a more powerful tonic for life’s hardships and heartaches than gratitude. Too often though we focus on what is missing from our lives and what we don’t have rather than on all that we do. It keeps us living in scarcity, fuelling resentment, self-pity and a sense of powerlessness. So stand guard of your mind and when you catch yourself dwelling on what’s missing, refocus your attention on all that you already have. Because no matter how dire things may seem, there is always something to be grateful about. Celebrating even the small things – from the winter sun to the summer heat (you’re alive! ), from your ability to read this article (many can’t), to the roof over your head (many living in refugee camps right now would love one! ), from your toddlers’ tantrum to your teenagers untidy room (ah, the blessing of children) – can make a profound difference to both your health and happiness. Write down ten things you are grateful for on this day. Repeat again tomorrow. Taking time to be more grateful for the blessings in your life amplifies their presence and helps to shift the negative emotions that can so easily weigh you down. Trust yourself that no matter how big the problem is that you’re facing, or how inadequate you feel in the face of them, that within you lays all the resources you need to meet them – one day, one hour and even just one minute at a time. You don’t need to figure out how to handle what may come five years or even one month from now. Rather take a big deep breath, and focus on what is right ahead of you right now, in this moment. However sad, hurt, angry or hopeless you feel, know that you have all the strength and courage you need to deal with this moment and to prepare for the next. I’d love to know what resonates most strongly with you so please leave a comment below. It could light just the spark of hope that another reader needs right now. Let me finishing with this deep knowing: Every challenge you face throughout the span of your lifetime – from the small to the seemingly insurmountable – holds an invitation to grow into the fullest version of who you were born to become. It is in your greatest adversities that you can discover your greatest strengths. 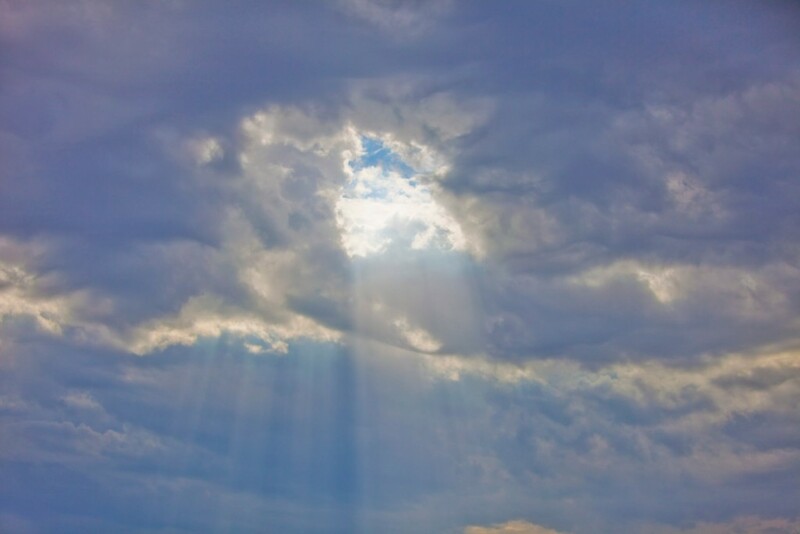 So no matter how dark the clouds seem overhead, hold on to hope that light will eventually shine down again. As I wrote in Brave, hope is risk that must be run.